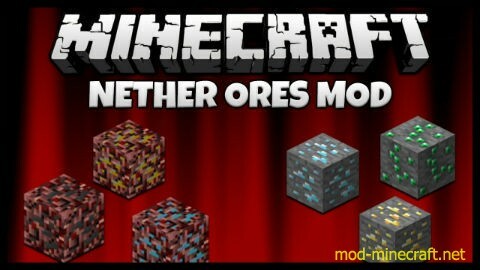 A mod originally by powercrystals that adds overworld ores to the nether. This is a fairly basic mod. It makes several ores – coal, diamond, gold, iron, lapis, redstone, copper, tin (if using those) – spawn in the nether so that you have a reason to go there mine. Once you harvest one of these, you must smelt it into the drop you’d get from its surface form by cooking it in a furnace. 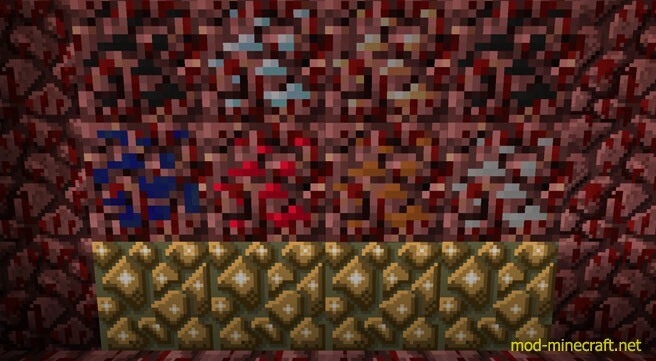 Nether Iron gets you an iron ore block, Nether Redstone gets you redstone dust, etc. Putting them into an IC2 macerator yields twice the reward! Install PowerCrystals Core (For Minecraft 1.6.4 or older). Install CoFH Core (For Minecraft 1.7.10 and newer). Put downloaded archive into .minecraft/mods/ folder. Thats it!